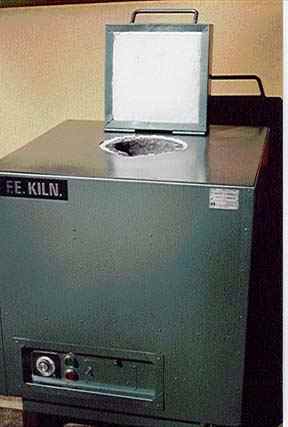 This crucible furnace is specially designed for school use , the wall is extra thick to lower the surface temperature to approx. 30 - 35 degrees C at full temperature. The resistance elements are made from Kanthal A1 which mean they last for many years , they are easy accessible for maintenance or replacement . 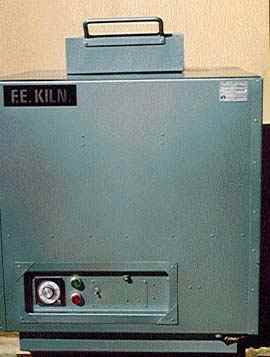 Power rating 6.9 KW or 9 KW could also be supplied for 3 phase power. The standard crucible is a Type EL 25 or equivalent but a variety of crucibles are available . 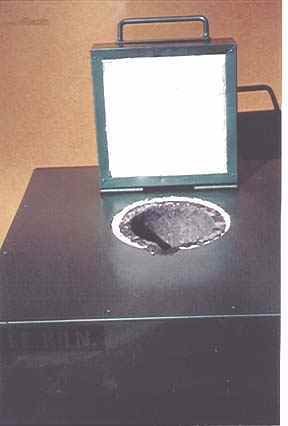 The crucible is mounted on a pedestal , which provide drainage trough the bottom to a receptical. The floor of the furnace is shaped to insure all alloy drains away quickly in the event of a crucible breaking.